When someone says or does something unintentionally hurtful and they do it once…..that’s rude. When someone says or does something intentionally hurtful and they do it once…..that’s mean. 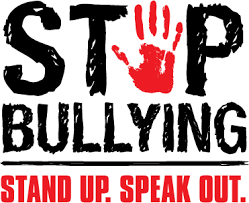 When someone says or does something intentionally hurtful and they keep doing it, even when you tell them to stop or show them that you’re upset…..that’s bullying.